Are you looking for something simple you can do to improve your health? Maybe skip the sauna at the gym because it is occupied by sweaty people in various states of undress. Do you long for a perfect quiet sauna of your own? Research has shown the health benefits of spending time in a sauna can be extremely beneficial to your health and state of mind. Publications like The American Journal of Medicine and Harvard Men's Health Watch have claimed that saunas can reduce a host of ailments, from stress to illnesses, caused by environmental toxins. "We could really improve people's health if we could get them to use saunas," says Dr. Lawrence Wilson, nutrition and lifestyle consultant in Scottsdale and Prescott, Arizona. Dr. Wilson says the heat works with the elimination of toxins, such as lead, mercury and nicotine, and says a sauna can dramatically speed up their elimination, though it does take time. "It takes a couple months of sauna therapy just to fix your skin," he says, "It's like flushing your skin a couple times a week. Compared to most treatments it's very safe — if it's done sensibly." Basically the heat raises your heart rate, creating sweat, clearing toxins from the skin. "There aren't many methods of getting these chemicals out of your body," says Dr. Wilson. In addition, the increased heart rate releases a variety of hormones, like endorphins, known to reduce stress. Using a sauna also can help make breathing easier when you're congested. According to John Donegan at Forbes.com "Unless you’re from Finland, where there are more saunas than cars, you may have never considered adding a sauna to your home. 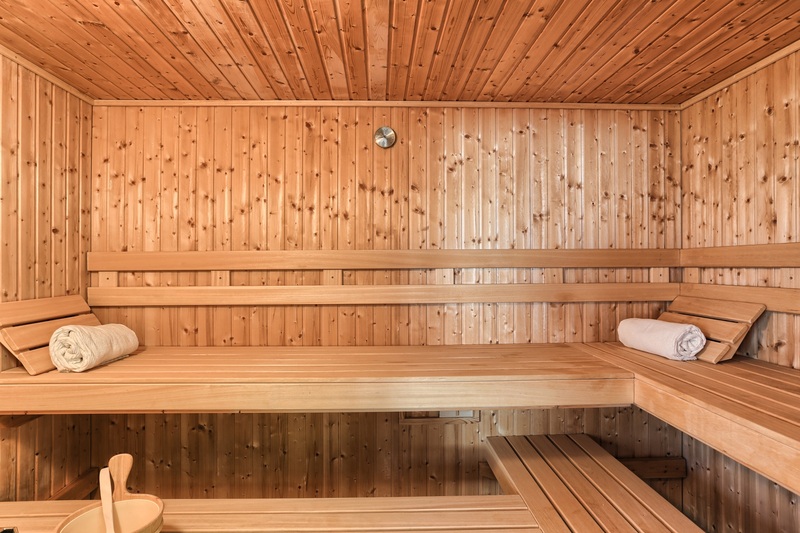 Although it’s a significant expenditure, once constructed, a sauna adds value to the home, requires very little upkeep and can provide a great deal of health benefits. Contact us at 717-379-4479 to set up a private showing of this sauna and gorgeous home.